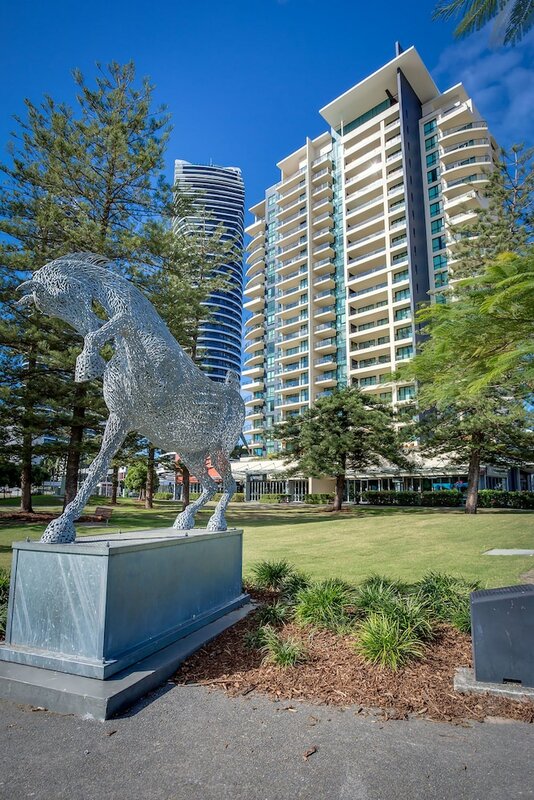 Located in Broadbeach, Mantra Broadbeach on the Park is in a shopping district, a 3-minute drive from Pacific Fair Shopping Centre and 5 minutes from Surfers Paradise Beach. This 4.5-star aparthotel is 2.3 mi (3.7 km) from Cavill Avenue. Make yourself at home in one of the 56 air-conditioned rooms featuring kitchens with full-sized refrigerators/freezers and stovetops. Rooms have private balconies. Flat-screen televisions with cable programming provide entertainment, while wireless Internet access (surcharge) keeps you connected. Private bathrooms with separate bathtubs and showers feature jetted bathtubs and complimentary toiletries. Be sure to enjoy recreational amenities, including an outdoor pool, a spa tub, and a fitness center. Additional amenities at this aparthotel include complimentary wireless Internet access, tour/ticket assistance, and barbecue grills. There is an intercom outside reception (with instructions.) Dial 8, the night service will verify details and give the code to the night safe.